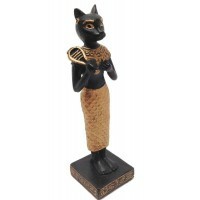 Stunning 11 3/4 inch high statue of the Egyptian Cat Goddess Bast is a beautiful piece for your home or office. 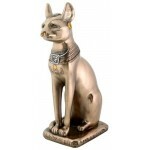 Bast or Bastet was the Ancient Egyptian Goddess shown with the head of a cat or as a cat. 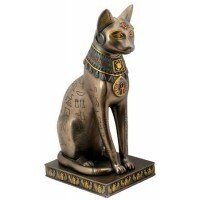 This beautiful statue in her cat form is 11 3/4 inches high and weighs just under 5 pounds. It has great detail and is cast in bronze cold cast resin. 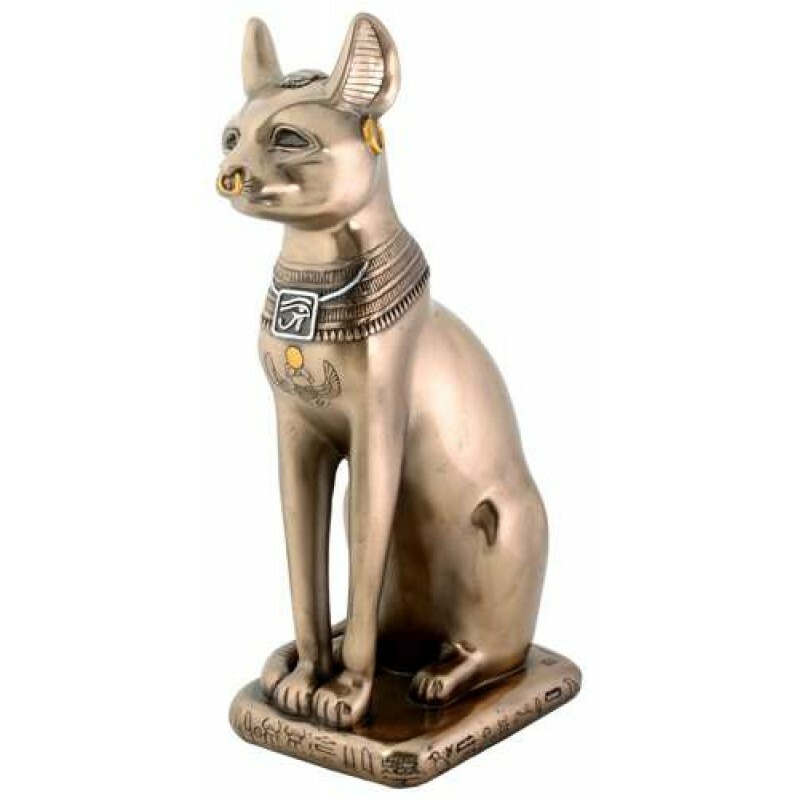 Sitting on a pillow base covered with heiroglyphics, she wears a gold nose ring, ear ring, and stunning collar that includes the Eye of Horus and a winged scarab with hand painted color accents. 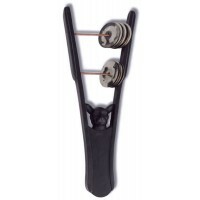 Item Number: YT-8131 | Approximate Size (Inches): 7.00 wide x 4.25 deep x 11.75 high | Approximate Shipping Weight: 6.50 lbs. 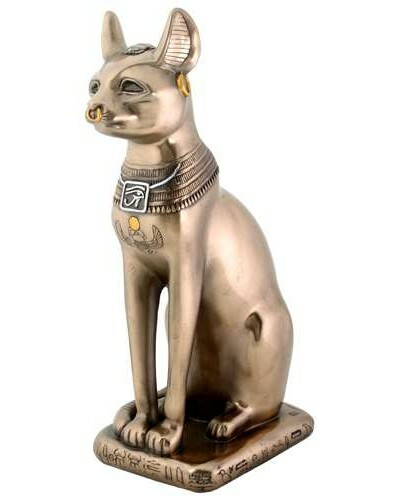 Bast is the Egyptian cat goddess, daughter of the sun god “Ra”. 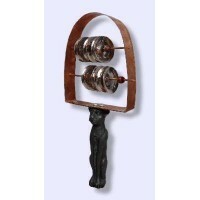 Bastet w..
Sistrums were used in Ancient Egyptian festivals and rituals to honor the G..